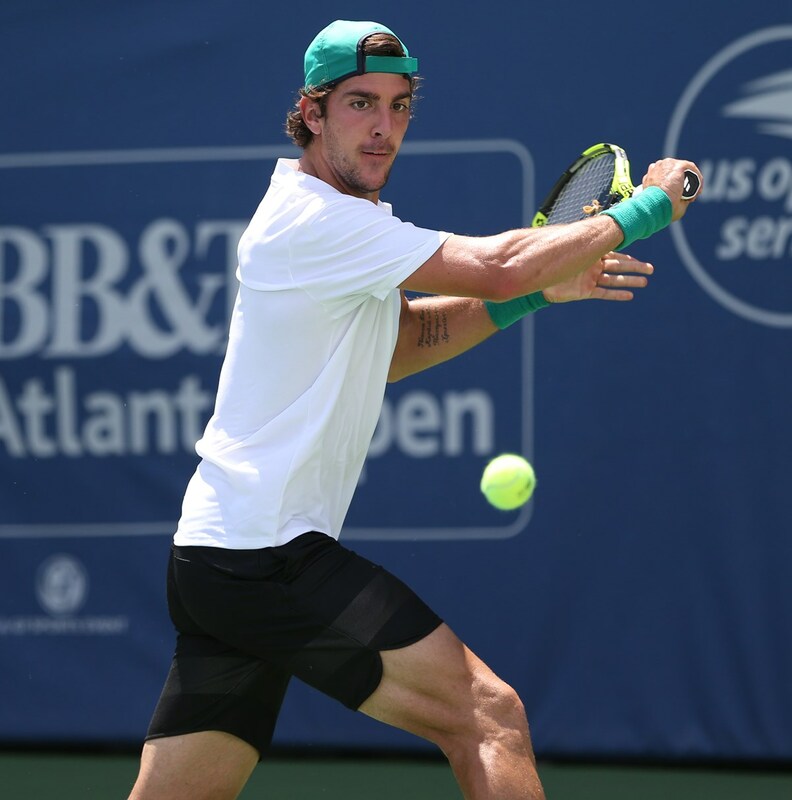 July 22, 2018 - Qualifying play concluded on Sunday afternoon at Atlantic Station for the 2018 BB&T Atlanta Open as four qualifiers and one lucky loser were placed in the singles main draw. ATP World Tour No. 184 Prajnesh Gunneswaran defeated American Tommy Paul in straight sets, 6-3, 6-3, to start the day on Stadium Court. Gunneswaran utilized his strong, consistent backhand to race out to a quick start. Paul looked frustrated throughout the match and never could quite figure out the serve of the up and coming Indian. Next up on the Stadium Court: Alex Bolt and Denis Kudla. This duo had an exciting beginning to their match with holds of serve to force a tiebreaker. Kudla took a 5-0 lead in the breaker and held on to take the first set. Bolt then turned up the heat on his serve, giving Kudla little opportunity to even earn a break chance. Bolt, ranked No. 176, played more like a top-50 player by pulling away with 6-3, 6-3, to defeat Kudla in the second and third sets. Other winners on Sunday included Thansai Kokkinakis and Noah Rubin. Main draw plays begins Monday. Download the order of play for Monday, July 23.